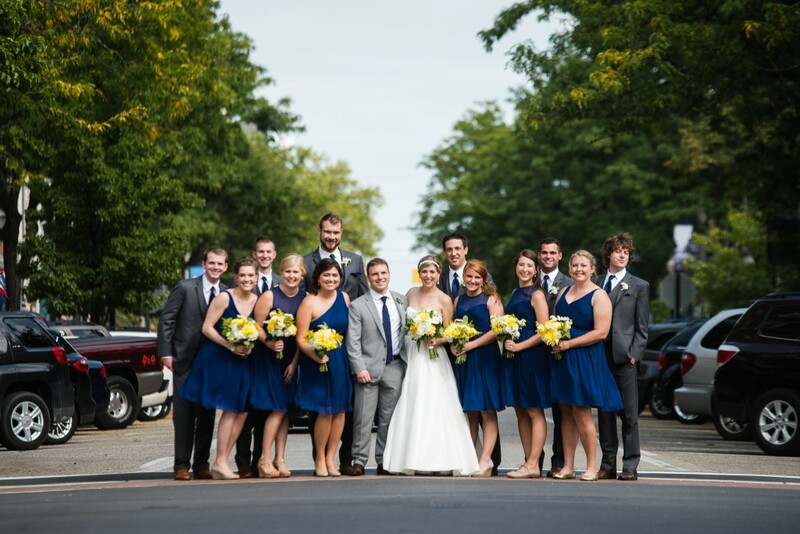 The past few years we have been seeing a lot of neutrals for wedding. Everything from creams, beiges, grays, and greiges, but nothing quite as dreamy as Lilac Gray 16-3905. Part gray mixed with part lilac, Lilac Gray is a soft, elegant take on neutrals. Lilac Gray can be paired with really any color, from moody hues to simple neutrals. 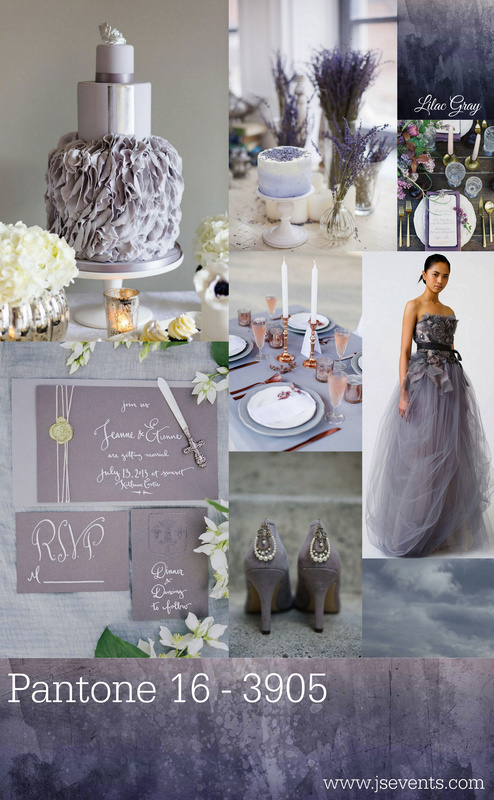 This new shade of gray works effortlessly into any wedding. “As in most any season, the need for neutrals arises. Essentially a basic, the subtlety of the lilac undertone in Pantone 16-3905 Lilac Gray, adds a distinctive edge to this classic gray shade.” Leatrice Eiseman, Executive Director, Pantone Color Institute. Collage Photo Credits (clockwise, L-R): Style Me Pretty, Burnetts Boards, La Tavola, DGR Interior Designs, Vera Wang, Gabriele Golissa, Loverly, Wedding Sparrows. The stunning aqua of Limpet Shell 13-4810 is the next color I want to highlight on Pantone’s top 10 colors for Spring 2016. This gorgeous shade is fresh and calming, reminiscent of the sea. 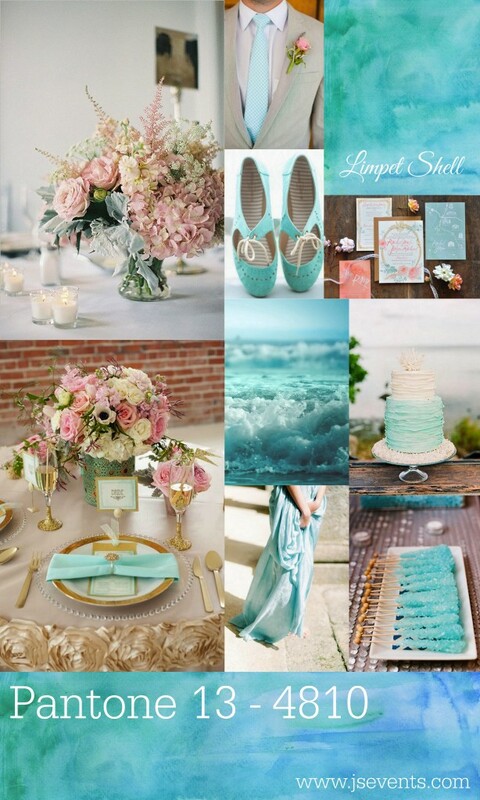 Limpet Shell would be a wonderful color for a oceanside soiree and would look lovely with other shades of blue or with a dusty blush pink or the romantic rose quartz. 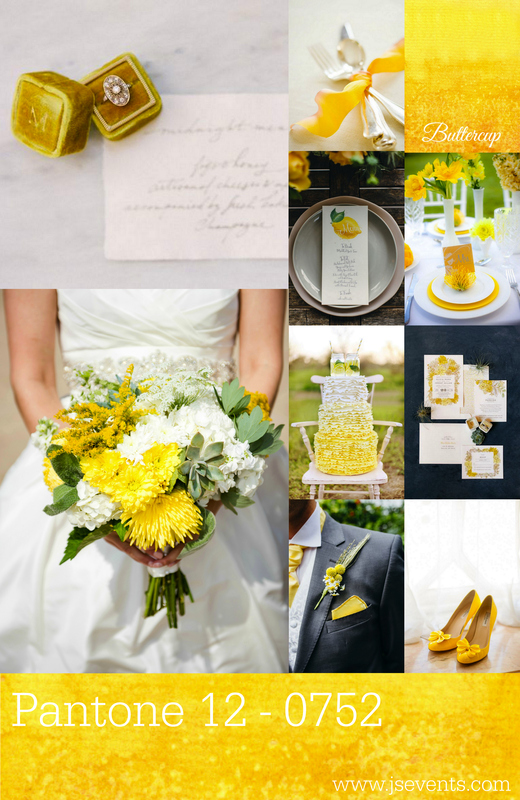 The next color I want to highlight is the happy and sunny yellow of Buttercup 12-0752. Perfect for a mid day, summer wedding or a dusky, early fall wedding, this bright and happy color would pair beautifully with a rich navy blue or a moody violet purple. 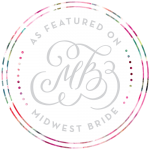 Here’s a little real wedding day inspiration from Sam + Danielle’s wedding from this past fall (I haven’t blogged about this wedding yet, but when I do, I promise to update this post with a link). Collage Photo Credits (clockwise, L-R): Wedding Sparrow, Pretty Plum Sugar, Style Me Pretty, Ruffled, Style Me Pretty, Style Me Pretty, Rock My Wedding, Whimsical Wonderland Weddings, JS Weddings and Events. The next color on Pantone’s top 10 colors for Spring 2016 is the fresh green of Green Flash 15-0146. This fun and carefree color is warm and modern but oh so radiant. 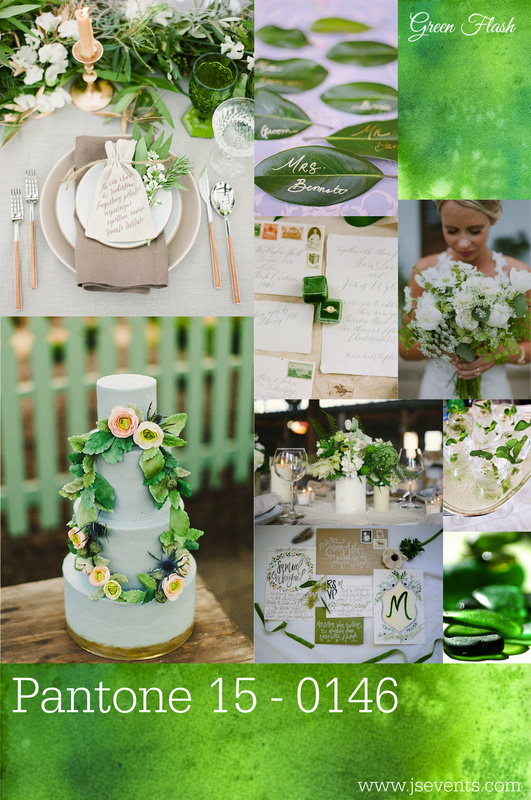 Perfect for an outdoor garden affair or a modern art museum wedding, a palette of greens would really make this color pop. The classic navy takes on a whole new look in a happier and livelier Snorkel Blue 19-4049. This soon to be classic, slightly maritime inspired blue, takes on hues of indigo and cobalt. 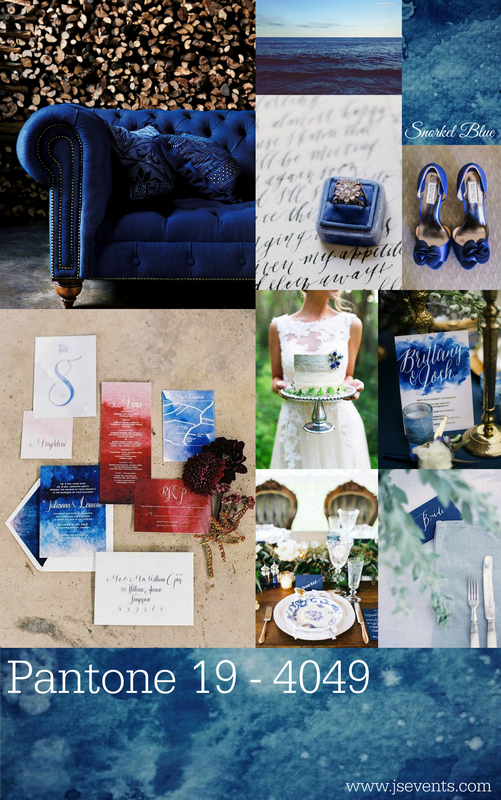 Paired with multiple shades of blues and soft pink, it would make for a fabulous palette for a spring or early summer wedding. If you’re going for something a little more unique and unexpected, Snorkel Blue lends itself to a slightly masculine style. 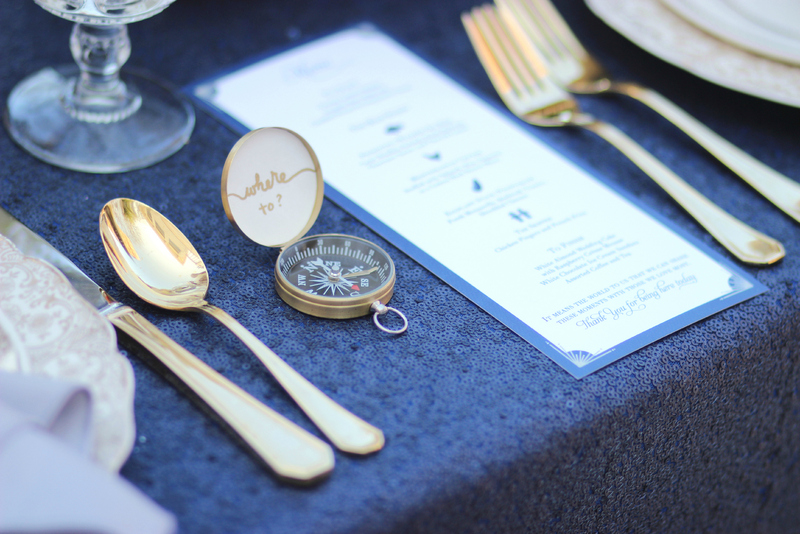 Think rich brown leathers, dark stained woods, a rum bar, oysters, and brassy gold accents. 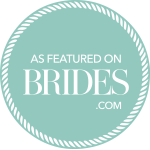 And yes, you can still add in those romantic details. 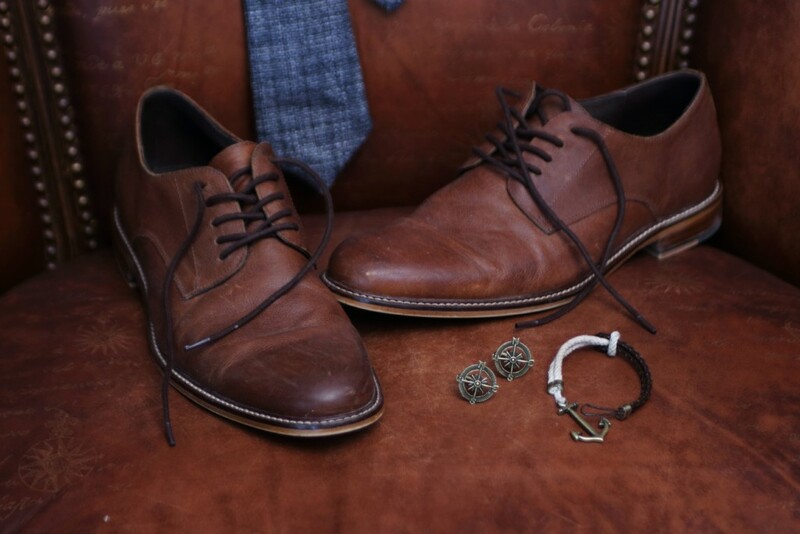 Below is a little real life inspiration from a style shoot to help you visualize.